Spending sleepless nights whilst trying to come up with a unique “brand name” that which you are going to be known with is as invaluable as life. On the other side, we have people who work very hard but fail the simplest test of protecting their own “BRAND NAME”, which leads to loss of money. The Creative Industry is an unregulated space with tens of thousands of people participating freely without been regulated. For that reason, we need people to be careful about how they can protect their ideas from been stolen and/or used without their prior consent, thus by registering their “BRAND NAME” or “TRADE MARK”. It is worrying that the majority of people are careless about their brands and only come to see the loss when someone had already taken away their brand name. A trade mark is how a business promotes itself visible in the marketplace and can be a name, slogan or logo or a combination of these. The best trade marks are instantly recognizable e.g. Coca Cola, Apple, Microsoft, Nike, etc. The terms “trade mark” and “mark” are commonly used to refer to both trade marks and service marks. A registered trade mark is legally enforceable and it give you exclusive rights to use, sell and licence that mark for which it is registered. 1. to have the exclusive right to use your registered trade mark as a brand name for the goods or services. 2. to have a registered trade mark, which is an Intangible asset and can be sold. 3. to have your product or service mark protected in the whole of South Africa. 4. to block the trade mark registers and prevent third parties from registering confusingly similar trade marks. 5. to prevent third parties from registering companies which may have confusingly similar names – this is a very strong right, enshrined in a statute, which is an act of parliament. 6. to be a financial or tax benefit in certain cases. A trade mark could have tremendous value and could also be added to a balance sheet. One of the best advantages is the fact that one is afforded a monopoly in the specific trade mark registration. This gives one the right to sue for infringements or object to other names as mentioned above. Using the ™ symbol. You may use ™ behind your trade mark at any time. Using the ® symbol. Once your trade mark is finally ® registered it is good business practice to place the ® symbol immediately adjacent to your trade mark. This puts others on notice to respect your trade mark and aids in protecting your valuable intellectual property. The symbol ® is used for registered trade marks. The trade mark application usually takes approximately 12-18 months to be examined, depending on the workload at the Trade Marks Office. Once any conditions have been met or refusals overcome, the application is accepted and published in the patent journal. If no oppositions are entered or any entered oppositions are overcome, the registration certificate will be issued. This entire process usually takes approximately 24-36 months, but could also take longer. How long does a trade mark last? This is valid for 10 years and can be renewed perpetually for 10 years at a time. Will my trade mark also be registered outside South Africa? No, your registration will only be registered and be valid in South Africa. Can I register my company name as a trade mark? Yes. A company name registration is separate from a trade mark registration and by registering such a name will protect this independently from your company name. The trade mark registration process? 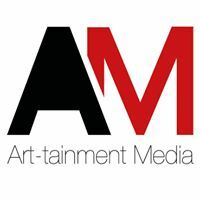 For more information and assistance on registering your trade mark, contact US at the following emails: admin@art-tainment.co.za, info@art-tainment.co.za.